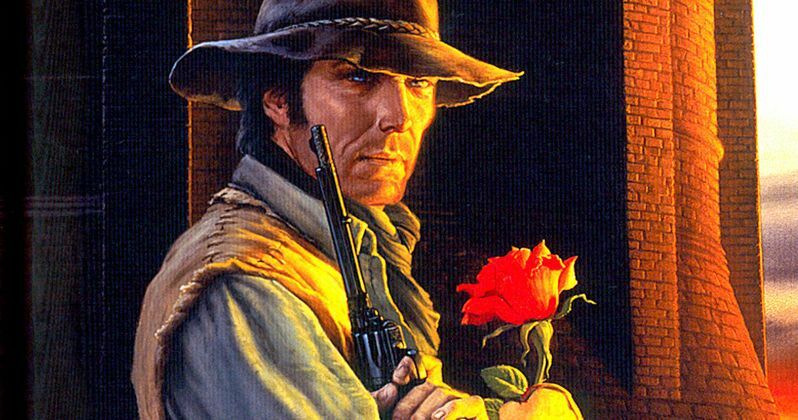 A Royal Affair filmmaker Nikolaj Arcel is about to enter negotiations to direct Sony's long-awaited adaptation of Stephen King's The Dark Tower. The filmmaker, who was born and raised in Denmark, actually learned English primarily so he could read Stephen King's original novels in the author's native tongue. Nikolaj Arcel is a huge fan of the sprawling novel series, and his knowledge of the books impressed the studio and surely helped in getting him the job. The Dark Tower was initially set up at Universal Pictures, who planned on making a movie trilogy along with a limited run TV series that would air between each movie. The multi-faceted adaptation eventually fell apart at Universal, and was briefly at Warner Bros. before Sony Pictures picked up the project back in April. The studio is teaming with Media Rights Capital (MRC) to co-finance the movies, and develop a "complimentary TV series" as well. Akiva Goldsman and Jeff Pinkner wrote the most recent version of the screenplay, which was reworked from earlier versions that were considered much too expensive to film. The script is adapted from The Gunslinger, the first book in Stephen King's seven-novel series. Nikolaj Arcel will oversee a new rewrite of the script, but it isn't known if Sony is seeking new writers, or if Akiva Goldsman and Jeff Pinkner will take another crack at the script themselves. Ron Howard, who was initially set to direct when the project was at Universal, is now producing alongside his Imagine Entertainment partners Brian Grazer and Erica Huggins, along with Akiva Goldsman and Stephen King. Nikolaj Arcel previously directed the critically-acclaimed A Royal Affair, which received an Oscar nomination for Best Foreign Film. He also directed Island of Lost Souls and he is attached to make Fables, which is currently being rewritten by Jane Goldman. The filmmaker also co-wrote the screenplay adaptation for the original Swedish version of The Girl with the Dragon Tattoo, along with Rasmus Heisterberg.